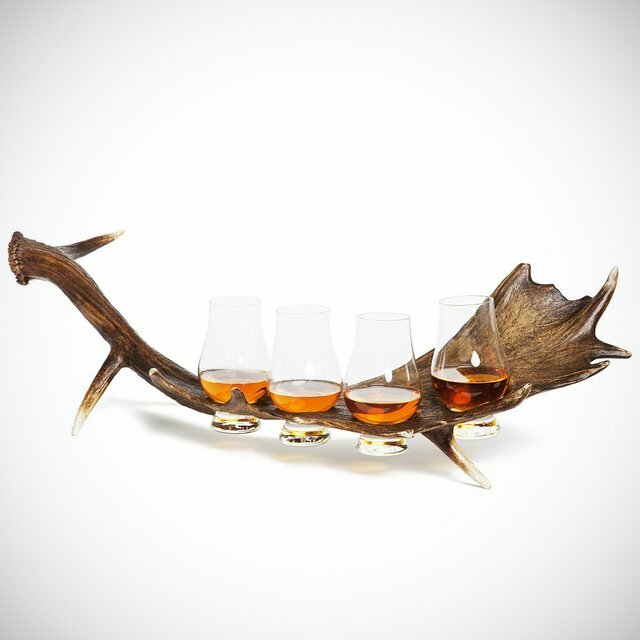 Enjoy your favorite spirits in rustic elegance with Sir Jack’s stag antler whiskey flight. Handcrafted in Scotland from genuine stag horn, each whiskey flight includes four tapered tasting glasses. An excellent gift for the whiskey connoisseur.